An effective blend of herbal extracts that moisturizes even the extremely dry areas of your skin, Himalaya Winter Defense Moisturizing Cream is enriched with Wheat Germ, a rich source of Natural Vitamin E that protects skin from environmental damage. Jojoba Oil and Almond Oil repair and deeply nourish dry skin, keeping it soft and supple even during the harshest, winter months. Jojoba Oil, Wheat Germ, and Almond Oil deeply moisturizes skin. 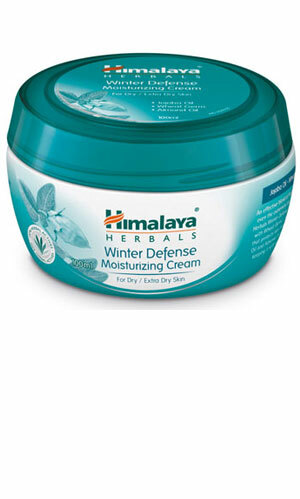 Apply Himalaya Winter Defense Moisturizing Cream gently all over the body, paying special attention to severely dry areas, slowly massaging it in. Best used after bathing, when your skin is most receptive to hydration.